Big Hat No Cattle is returning to Fresh Tracks Farm for our first October Friday Night Fire! A long time local group focusing on western swing and vintage honky-tonk, Big Hat No Cattle has been a staple at our Friday Night Fires since the beginning. Field Stone Farm of Northfield will also be joining us with some local food offerings, often focusing on wood-baked pizza, local salad, and sometimes a surprise offering of macaroni & cheese! Food sales begin at 6pm, with music following at 7pm until 9pm. 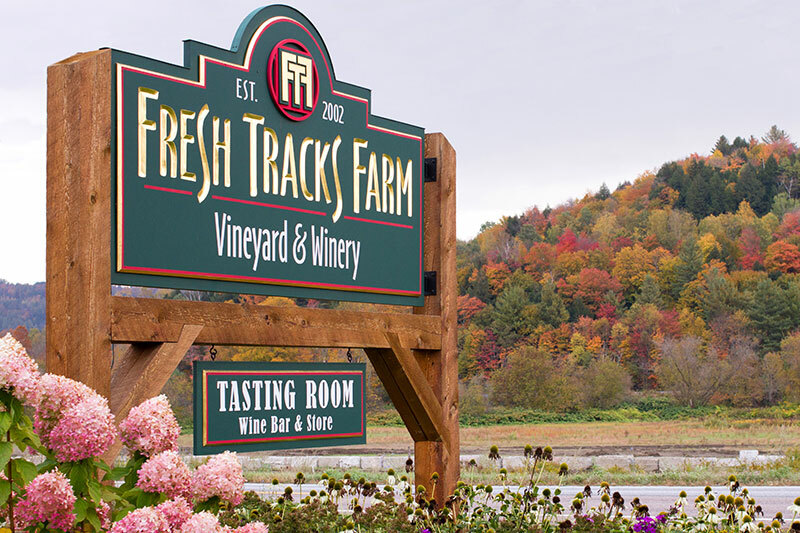 Our wine bar will be open until 9pm, pouring farm-grown and crafted wines from right here in our green mountains! We also offer an assortment of San Pellegrinos, still and sparkling water as non-alcoholic alternatives. As always, this event is free, family friendly, and open to all who wish to enjoy an evening of local music, local wine, and local food!